A dollhouse is on every little girls (and some boys too!) list at some point during birthdays and holidays. I have a particular soft spot for all things miniature myself. (I always marvel at my kid’s clothes when I am folding them fresh out of the dryer). 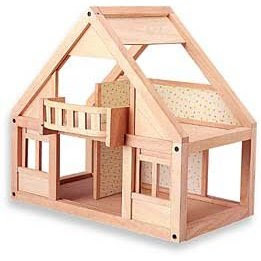 So, of course I loved playing with my simple wooden dollhouse when I was a little girl. Something about all those life size objects being so teeny tiny. Today there are a lot of great dollhouses from the fanciest of Victorians to the cool modern Palm Springs for our little ones to play house with. The Greenleaf Dollhouse company makes amazing dollhouses that have incredible detail. The designs range from English Tudor to Vineyard Cottage. Any miniature enthusiast is sure to fall in love! If a modern miniature is more your thing you should bookmark this blog, minimodern. It’s a kick to see the detail of the houses. 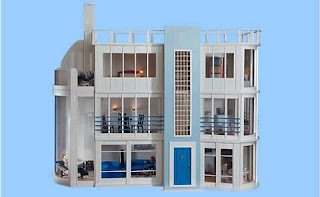 Along with Modern Dollhouses and Miniatures they have created some very cool and unique dollhouses like this one called The Malibu. 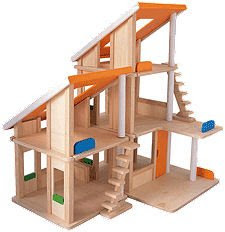 These simple wooden dollhouses by Plan Toys are great unisex options and don’t take up too much space and can be stored easily. I love the minimodern! If it only it came in an adult size at the dollhouse price! 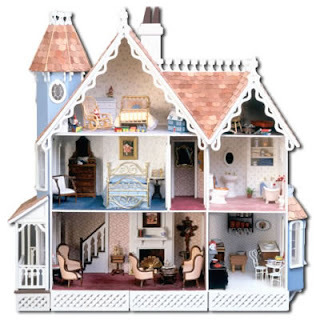 Dollhouses are a way of determining a child’s ability in taking care of things. I still remember when I was a little girl my mom gave me her dollhouse which is a gift from her mother. 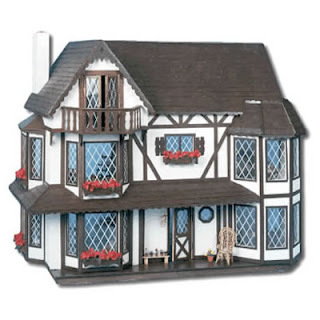 Its a Newport Dollhouse though this one is in white color I found out that at http://www.classicdollhouses.com/dollhouse-kits.html?page=0&sf=&sd=a#sortblock it has the same model. I love my dollhouse , not only because it serves as a bonding moment for me and my very own daughter but it also bring fond memories of my grandmother. Amazing doll houses. Aren’t they for auction yet?